RJ Scott necesitaba un nuevo diseño de página web y lanzó un concurso de diseño en 99designs. I have a pre-existing site that is in need of a face lift. I've provided a few screen shots which all show elements of the site that we'd like designed. Even though the website contains many pages, the look and feel of each page will be the same so only one page need be designed as long as it contains all the elements we are looking for. 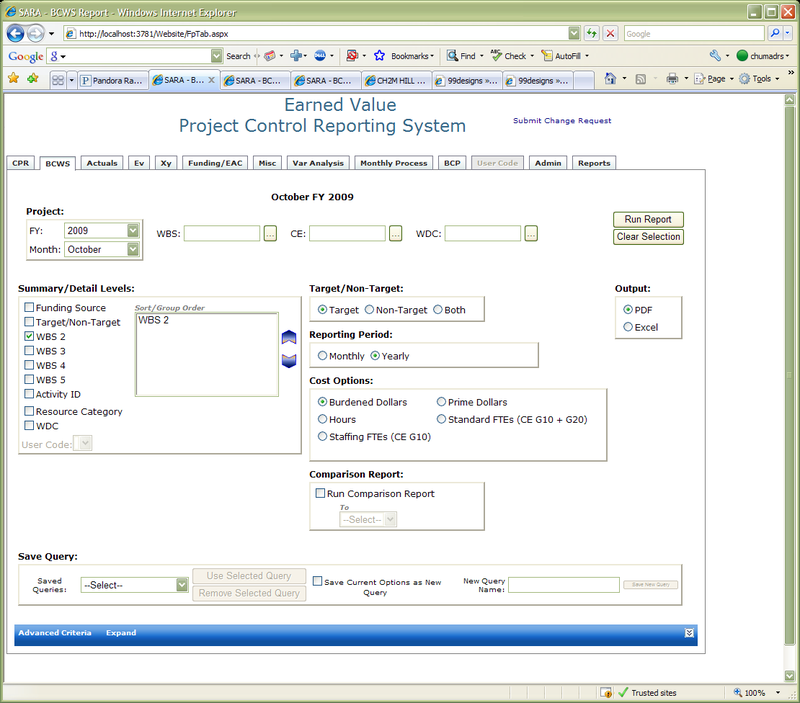 Our Web Application is a reporting portal for an internal department. The design we currently have lacks a certain profession and "updated" feel. 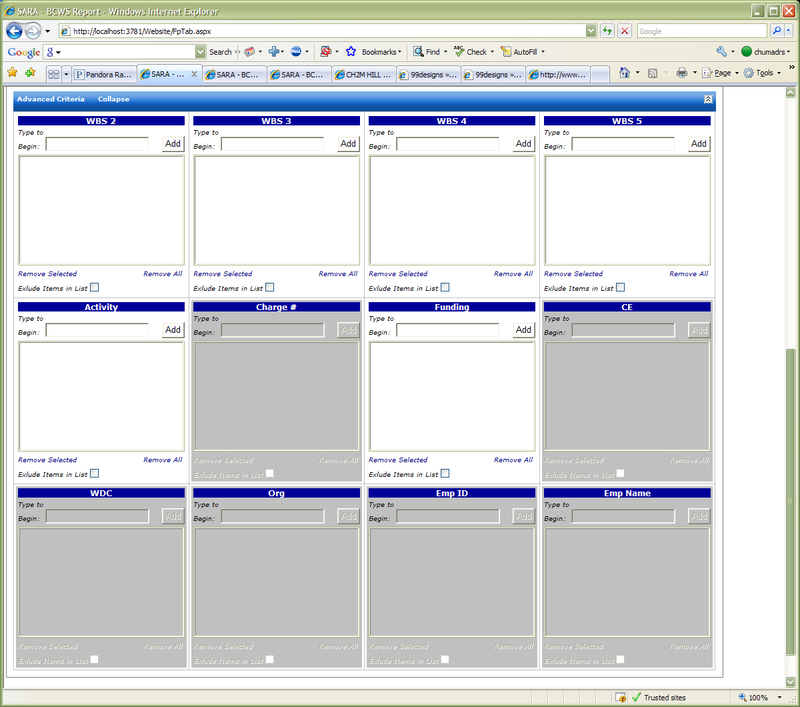 Tabs - The tabs are the manner in which the user selects the report that needs to be ran. Each of those tabs is a separate report. For the most part, each page looks similar and will only vary by the amount and type of information needed to run the report. Summary/Details Level - As the user checks items in this area, they are added to the list box titled 'Sort/Group Order.' The Up/Down arrows to the right of the box allow the user to move items up and down. This section is found on every single report. This page simply allows the user to enter addition information. All the other panels on the page work in the standard way and should be pretty straight forward. You are open to change the functionality if you have a better idea of how it can be presented - for example, if you have another way besides an expanding panel for the advanced criteria, feel free to present it.